After hearing so many good things about the serial drama “Dexter”, I finally checked it out. Someone told me if I enjoyed Bones, I might also enjoy Dexter. Well, I’m not quite sold on that. Bones is about something more than Bones. Dexter on the other hand seems to be all about killing. It’s a really quirky but also very dark drama. About a forensic blood stain analyst (didn’t even know they exist) for the Miami Police Department who is also a serial killer. I’m sure the character of Dexter has evolved by now but I decided to start with the first episode. It had me on edge for most of the hour. 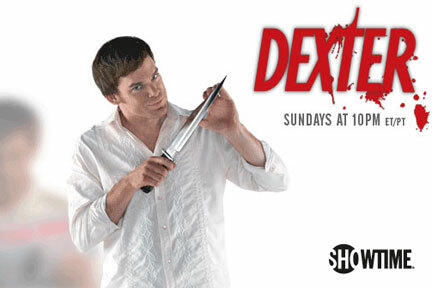 I can’t say I enjoyed watching but I sure am weirdly intrigued by the complex character of Dexter. I’m going to give Dexter another shot but I prefer lighter TV series. It’s not my cup of tea but I can’t say it’s a bad cup of tea.